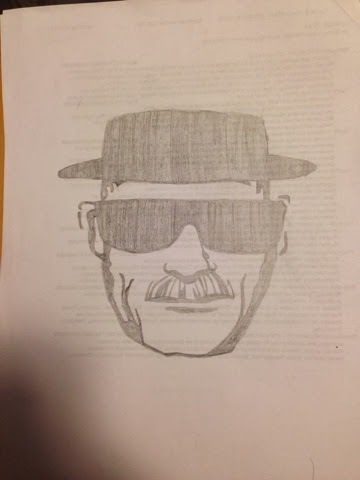 My boyfriend is a big fan of breaking bad so I thought I could make him something for Christmas. 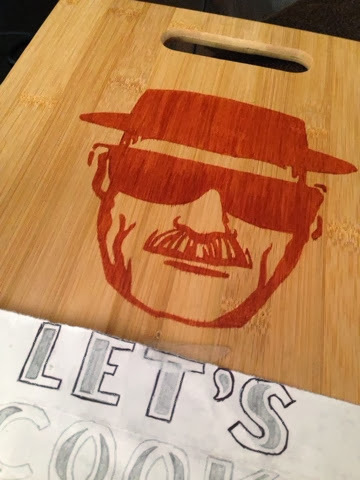 I saw a cutting board with Walter White on the front that said "let's cook" and thought it would be something he would like and would look cute hanging in the kitchen! 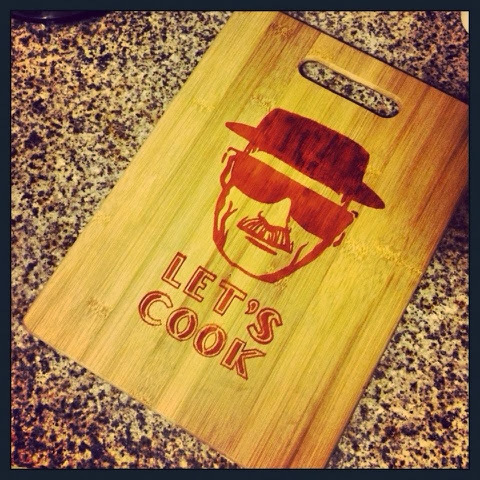 I saw a cutting board online for $40 plus shipping and handling. That's where my DIY comes in! This project takes about an hour and the total cost was $6.00 for the cutting board and other household supplies. First what I did was sketch the drawing on a piece of paper just to be sure if I had to make any changes I didn't have to keep erasing on the cutting board it self. You can choose to draw anything you want on the cutting board and make your own design as well. Once you are finished with your drawing position it on the cutting board where you would like it to lay and tape the piece of paper on the board to hold it in place for tracing. What you do next is use your pen to trace the lines that you have drawn. By pressing down with the pen you will notice an indent in the wood making for an easy transfer. Once you have finished your tracing you can use the marker to outline the picture and then fill it in! That's all there is to it and now you have a nice piece of custom artwork to hang in the kitchen!